School Threat Assessment, a training for delivering school safety strategies, provided opportunity for conversations between 75 teachers, administrators and school security officers on Jan. 22 at Harris County Department of Education through its Center for Safe and Secure Schools and Sigma Threat Management Associates. “I encourage you to look at how we are going to work together–police departments, communications and parents,” said Thomas Munoz, emergency manager and homeland security director with the city of Texas City. Munoz is a 24-year veteran with the Houston Fire Department and became the assistant chief of homeland security and planning with HFD. Munoz stressed the importance of teamwork between different agencies, including the district. Mike Matranga, executive director of security and safety at Texas City ISD, stressed how the school landscape has changed, especially with students using social media throughout the school day. He said Texas City is taking a proactive approach to threat assessment and urged other districts to follow. “We’re at a place in our society when our kids need professional help in our schools in terms of security,” Matranga said. Matranga is a former special agent for the U.S. Secret Service. In the largest federal study of school shootings in the United States, the U.S. Secret Service and U.S. Department of Education collaborated by studying 37 incidents through 41 attackers. Focus was on operational information: What could be detectable and usable from the incidents? School-based attacks are rarely sudden, impulsive acts. Prior to the attacks, others usually knew of the attacker’s idea/plan. Most attackers did not threaten their targets directly prior to the attack. Most attackers had seriously concerned others in their lives prior to the attack. Most attackers had significant difficulties with losses or failures. Most were suicidal. Despite prompt law enforcement response, most incidents were stopped by means other than law enforcement intervention. Most were very brief in duration. Practical application was provided as tabletop exercises with threat assessment scenarios helped attendees make observations and suggestions about school security. 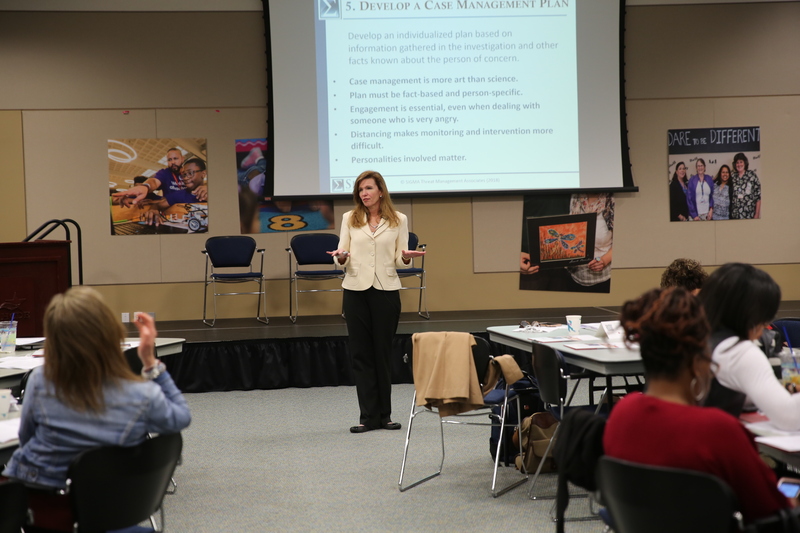 For additional information about upcoming Center for Safe and Secure workshops at HCDE, go to http://www.hcde-texas.org/register.